According to finalized figures from social media measurement company ListenFirst, Freeform amassed over 415 million Total Engagements across key social media platforms during the 2015/16 TV season, ranking as the No. 1 most social entertainment cable TV network in Engagements per Show (15.4 million) and across Twitter (57.4 million), easily beating the No. 2 network MTV by 6.2 million engagements and nearly 10 million Tweets (vs. 9.2 million and 48.8 million, respectively). 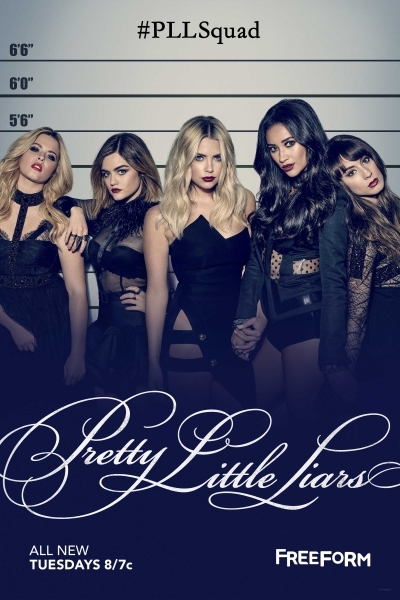 Viewers continued their love affair with social media sweetheart, Pretty Little Liars, which ranked as the season's No. 1 most social scripted TV series with over 270 million Total Engagements across Facebook, Instagram, Tumblr and Twitter, close to 100 million more than the No. 2 scripted TV series, AMC's The Walking Dead (167.6 million) and almost 200 million more than No. 3, MTV's Teen Wolf (82.7 million). As it heads into its final season, Twitter's golden child, Pretty Little Liars remains the holder of the Top 5 most-tweeted scripted TV series telecasts of all time and 6 of the Top 7 overall. Pretty Little Liars' heir apparent, Shadowhunters was the No. 1 new TV series of the 2015/16 broadcast season in Total Engagements (62.3 million) and ranked an impressive No. 5 overall among all broadcast and cable TV series. It was also the No. 1 TV series on Tumblr (6.3 million) and placed among the Top 5 scripted TV series on Instagram (No. 4 - 32.5 million) and Twitter (No. 5 - 15.3 million).